Leah New started a social media campaign to get J.C. Penney to bring back its holiday snow globes. Forget the doorbuster deals. 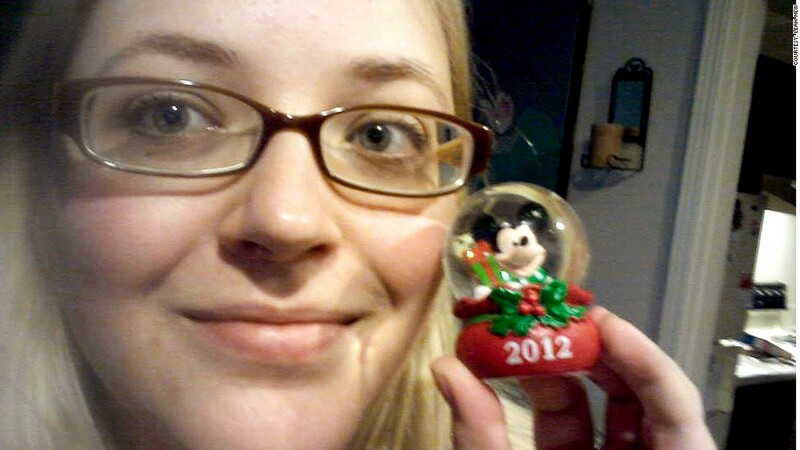 When Leah New heads to a J.C.Penney in Memphis this Black Friday, it's all about the free snow globe. Last year, loyal J.C. Penney (JCP) customers were disappointed when the retailer broke from routine and stopped handing out its signature Disney snow globes on Black Friday. Changes at J.C. Penney were already adding up that year and alienating the store's loyal fanbase. Under leadership of former CEO Ron Johnson, the store had done away with sales and some of its house brands, like St. John's Bay. The logo changed and so did the look inside the stores, as Johnson aimed for a younger, hipper vibe. 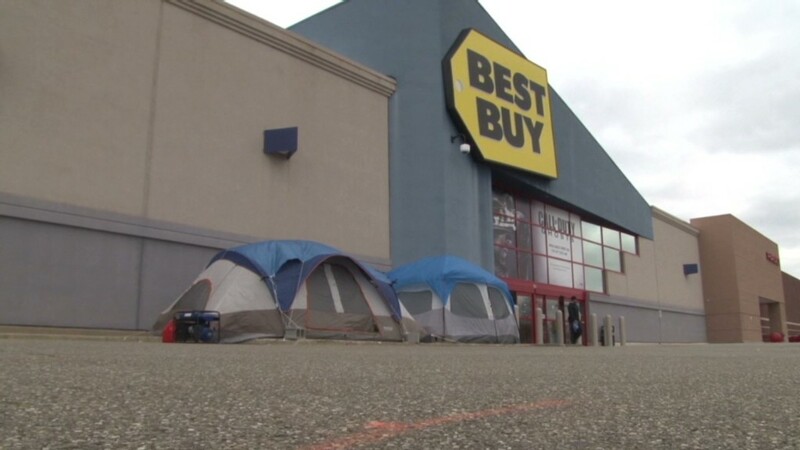 For snow globe enthusiasts, Black Friday 2012 was the final nail in the coffin. Instead of the Mickey Mouse globes, J.C. Penney gave customers promotional buttons. The move was not well received. New was so disappointed, she went on a mission to get the retailer to revive the tradition. She started a Facebook page and Change.org petition, and stopped shopping at the store. "I was very passionate about it because of my mom," she said. "Every Black Friday, me and my mom would go out and get the J.C. Penney snow globe at four in the morning. We're big Disney fans, and it was a tradition that made her very happy." "Then, last year, she passed away unexpectedly, and we wanted to honor her by carrying on the tradition. When J.C. Penney took the tradition away, it was pretty upsetting," she said. What New didn't expect however, is that other shoppers were just as passionate. They wrote in about their family traditions, shared photos, and a small community was formed. Soon after, another snow-globe fan launched a Twitter campaign. "I am home too for the first time in years. My heart is broken," wrote Megan Tracer on Black Friday last year. "It was the most wonderful father-daughter tradition," wrote Jacquie Hogan. "Even when we have been too poor to buy any Christmas gifts we could still get up and go to Penneys for a snow globe. So sad to see this tradition go away," wrote Sunnie Smith. Some people chimed in with words of sympathy for New and others wrote in about losing loved ones too. "My parents died in 2007," wrote Paul Slezak. "There are globes on their grave the year round since.. now.. I will have nothing. I would have gladly paid the cost of that globe every year knowing how happy my mom was to get it. Please bring it back..."
This year, Johnson is out, and J.C. Penney is desperately trying to get its old customer base back into stores. In the last seven months, the retailer brought back discounts, its old logo and St. John's Bay. And the snow globe enthusiasts also won their fight. Not only is J.C. Penney bringing back the globes to its stores this Black Friday, the company also retroactively created a 2012 edition and offered to send it to up to 650 of New's followers. "They are back!" a J.C. Penney spokeswoman said. "We definitely listened to our customers from the 'bring back snow globe' FB page and the petition." Crisis averted: The Facebook group is overjoyed, with several fans saying they cannot wait to return to the store this Friday. The doors open earlier than ever before -- at 8 p.m. on Thanksgiving -- and as usual, the snow globes become available at 4 a.m. on Friday. "I plan to get there around 3 a.m. in case there's a line for the snow globes," New said. "I haven't even looked at their deals yet -- I'm just so excited about the snow globe."